Gordon Studio Glassblowers gallery and studio is set in the picture-perfect Mornington Peninsula, an hour's drive from Melbourne. While the studio dates back to 1990, the gallery was established in 2005 with an aim to serve as a platform for showcasing hand-crafted glass art works. The tastefully designed gallery allows people to browse through a wide array of finished glass art pieces. Each piece is an objet d'art – designed uniquely within the studio using various techniques of developing, shaping and colouring. The studio, on the other hand, brings you up close with the process involved in the creation of these pieces. Glassblowing is an ancient art, which was invented in Phoenicia (an erstwhile maritime country at the eastern end of the Mediterranean) around 50 BC. Though the tradition has come a long way, the techniques have changed only marginally. The process involves blowing air into molten glass to inflate it, shaping it using specific equipment and adding colour and effects to produce the desired art glass form. For a truly enchanting experience, visit the studio and observe the resident artists live at work. Seat yourself comfortably on the mezzanine floor (built for viewing) and admire the gaffers or glassblowers working deftly with molten glass inside scorching furnaces. 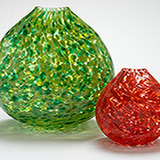 You can even get a hand-blown glass form customized to your choice. The studio includes works by resident glassblowers and artists - Eileen Gordon and Grant Donaldson, Alasdair and Rish Gordon (glass engravers) and Kevin Gordon (glass artist). Eileen, who is one of Australia's most sought after glass blower, set up the studio with her husband, Grant, in 1990. 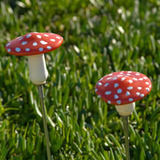 The art forms on display include interior, garden and outdoor sculptures in various sizes. The design styles vary from creative to elegant, fusion, minimal, decorative, conventional and contemporary. Check out their portfolio to get an overview of the works on sale. Each item is exquisite and after having seen the artists at work, you can truly take account of the skill and precision involved in creating it. Gordon Studio organises many events throughout the year from live demonstrations to create-your-own art piece event. To receive notifications of upcoming events, you can sign up for the newsletter. The studio and gallery are open daily from 10 a.m. to 5 p.m.
Why? To admire breathtaking glass art works. It is such a great place. Tucked away in the greenery of Red Hill. We used to do glass blowing in our back shed, or mini laboratory when we were children, yet its nothing like the beautiful peices of work that they have here. You couldnt not create anything wonderful there, with majestic trees and hills and valleys. I completely agree. Love the location, the peaceful workshop and the world-beating gallery. Have to admit that I haven't tested my hands at glass blowing but have spent many a pleasant hours watching the artisans at work. I've picked up so many pieces from there that my home is fast becoming a mini Gordon Gallery in its own right.